SCHICK - Mildred J. (VanOosten) Schick, age 81, began her eternal life through faith in Jesus Christ on Thursday, April 19, 2018, while surrounded by her family. 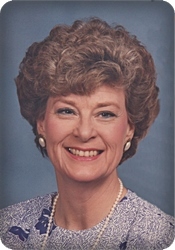 Millie was a loving wife, mother, and grandmother who will be dearly missed. She was a talented artist who enjoyed painting God's creation as she saw it in nature. Her creativity and sense of humor are legendary. She was preceded in death by her parents, Herman and Jean VanOosten; her siblings, Howard (Jean) VanOosten, Jim VanOosten, Erma (Donald) Fongers; and her grandson, Chris Harris. Surviving are her husband of 60 years, David; her children, Janet (Charley) Harris, Jon (Bridgett) Schick, Susan Price; her grandchildren, Kayle Harris, Derek Harris, Onahlea Price; her sister, Mickey (Tom) Matthews; her sister-in-law, Mary Jane VanOosten; numerous nieces and nephews. Honoring Millie's wishes, cremation has taken place. The family will greet visitors on Friday, April 27, 2018 from 10 to 11 am at Celebration Bible Church, 4690 - 8th Avenue, Grandville; where a Celebration of Life Service will be held at 11 am, with Pastor Jim Shemaria officiating. Memorial gifts may be designated for Faith Hospice, Up and Out Ministries, or Celebration Bible Church.